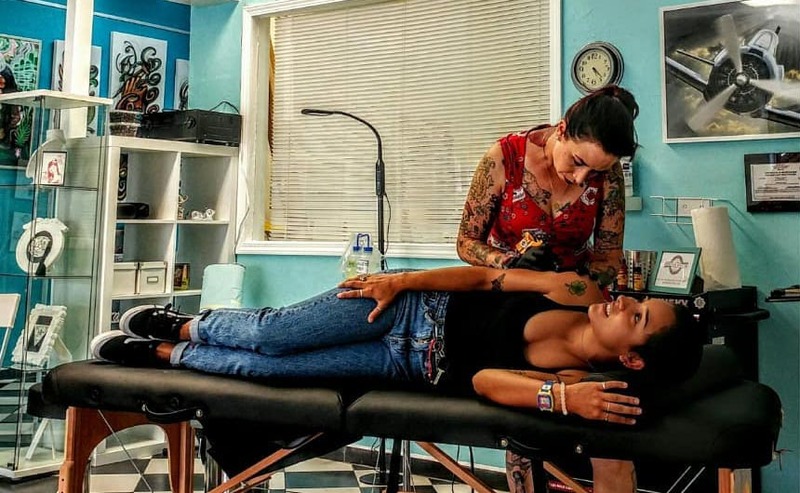 Roses and Rivets is an art gallery and permanent body art studio located in historic downtown Santa Paula, California, which opened on September 1, 2017. They feature artisans and artists from Southern California, and aim to showcase unknown and new artists, who may not normally have an opportunity for gallery showings. Want to be featured? Contact them at www.rosesandrivets805.com. All gallery sales are made by standard commission agreements. 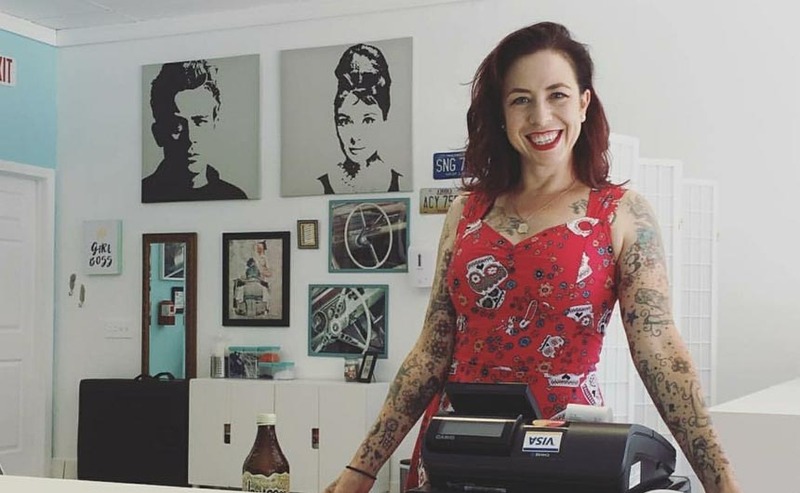 Tattoo appointments are made via request to our proprietor, Steph Sparrow, a tattooist with over a decade of experience in the industry. 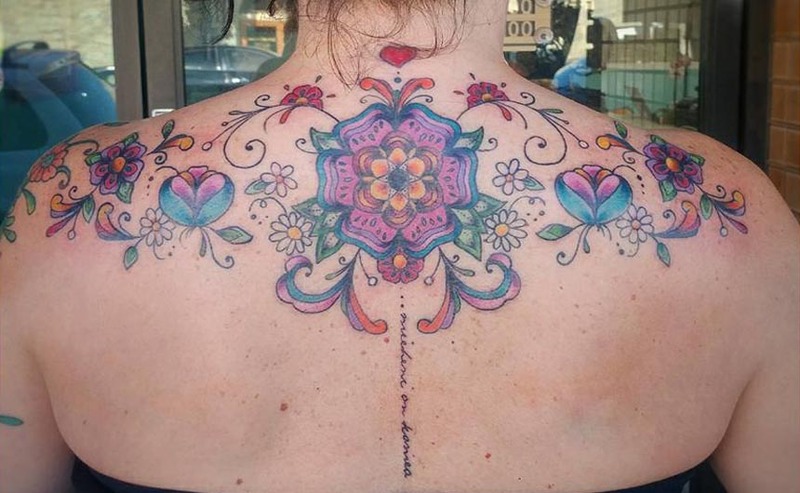 She specializes in fineline and single needle blackwork with a feminine bent, along with traditional American tattoos. 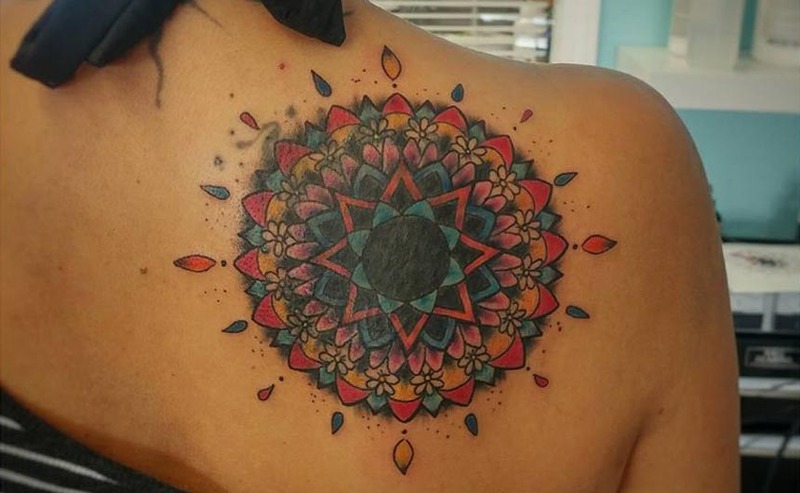 Want an idea for your new tattoo or body adornment? Come in and check out their lookbooks for inspiration, as well as suggestions for body placement! They will also be happy to work with your ideas and create a unique custom design. They won’t be happy…until YOU are happy. They also now offer brow microblading, performed by their talented artist, Brenda Perez. Introductory rates currently apply; contact them for details. 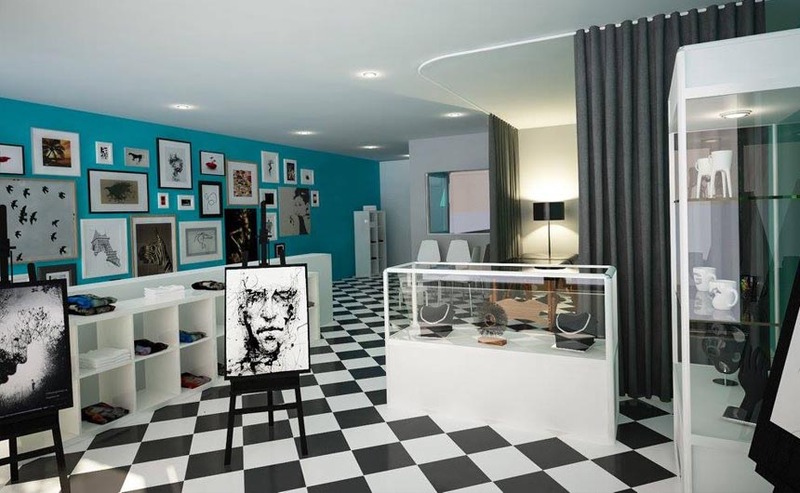 This is not like any other tattoo shop you may have seen before. To be clean, professional, and stylish is their mojo. Plus, they are committed to friendly, exceptional customer service. There is NO intimidation factor here like you may have experienced in other shops! 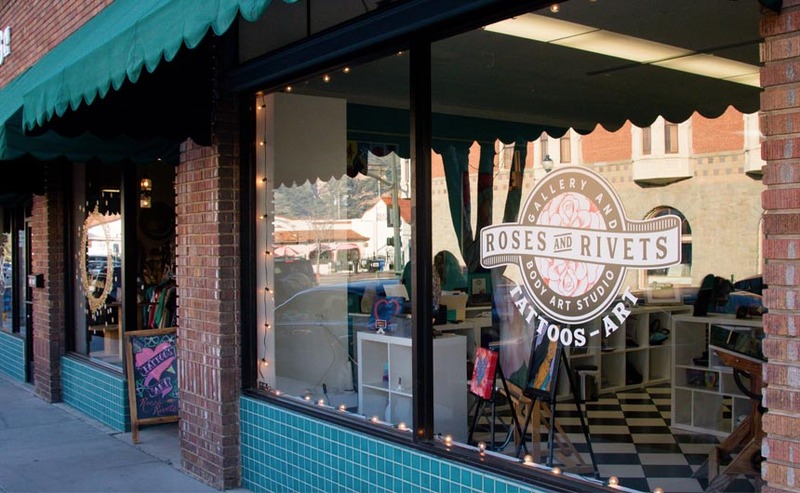 Roses and Rivets is dedicated to community – featuring local artists and serving Ventura County residents.